After Hayden made it clear that we were to be just friends and I begun to plan ways of changing my status, we began to spend more time together as friends. And as friends Hayden needed to introduce me to the gay man’s staple activity, the gay club. At first, Hayden wanted me to start drinking with him, but I have never had a desire to drink. Drinking seemed to me a way to dull the pain, to change who you were and I didn’t want to change and even though there was pain, the sharpness of it brought clarity of mind. Hayden had a much more liberal stance of alcohol and loved his vodka. Failing getting me to start drinking, Hayden knew I needed to take a visit to the club and I agreed. 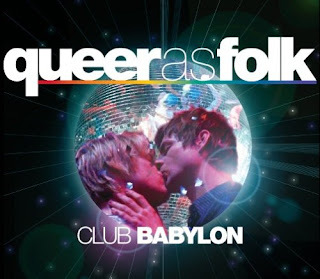 I had seen Queer as Folk and knew that clubs and bars were some of the focal points of gay culture. We went to one of the top clubs in Seattle and for some reason we went early. We got there about halfway through the drag-show and as I stood looking on, I grew disturbed by my atmosphere. I began to wonder why men who like men, liked men to dress as women. Perhaps it started as a way for a man to kiss his lover in public without others knowing and grew out from there. Iregardless of why drag exists, I didn’t like it and so I went upstairs where I was confronted with go-go dancers. I tried to dance on a near empty dance floor with Hayden, but with the dancers there I felt the need to sit down and sing a hymn. That was how out of place I felt at the beginning of the night.